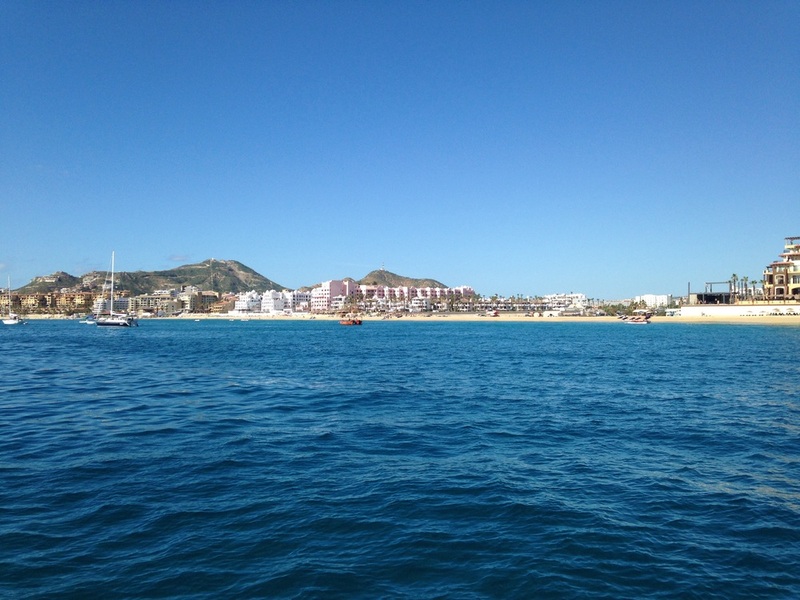 Cabo San Lucas Anchorage is an anchorage located at 22.88824 N, -109.900706 W. Vessels can find protection during moderate weather conditions, with some exposure. There are 0 slips and 0 mooring buoys available. 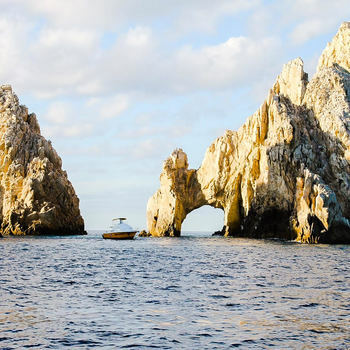 Berthing costs are estimated to be $10 per day. Diesel fuel and gasoline are available, unless otherwise noted. 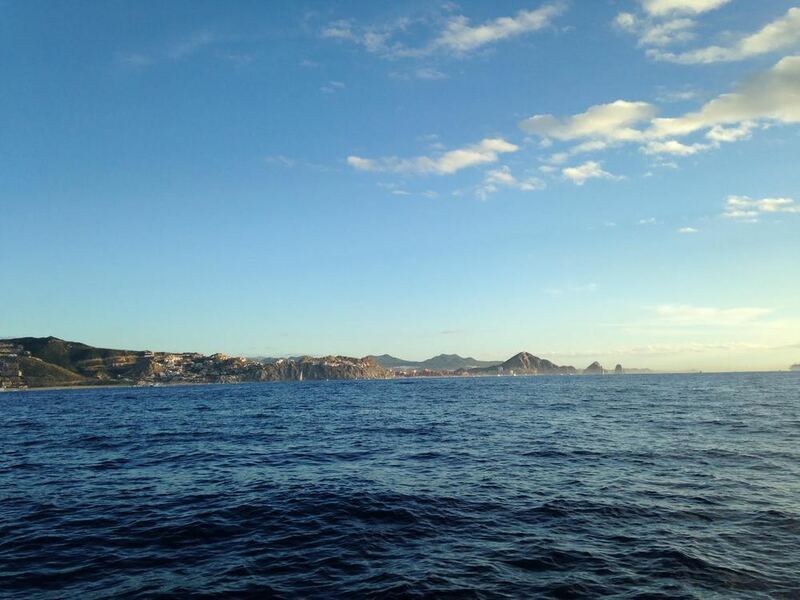 - "The cabo anchorage is nice and calm in the morning, but expect to be rockin and rollin by the afternoon. " 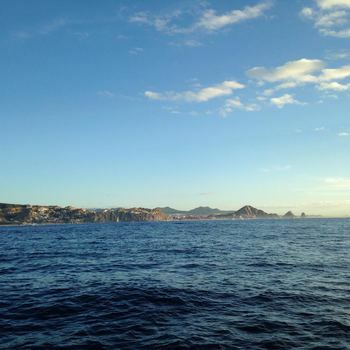 - "Cabo Anchorage early in the day. " 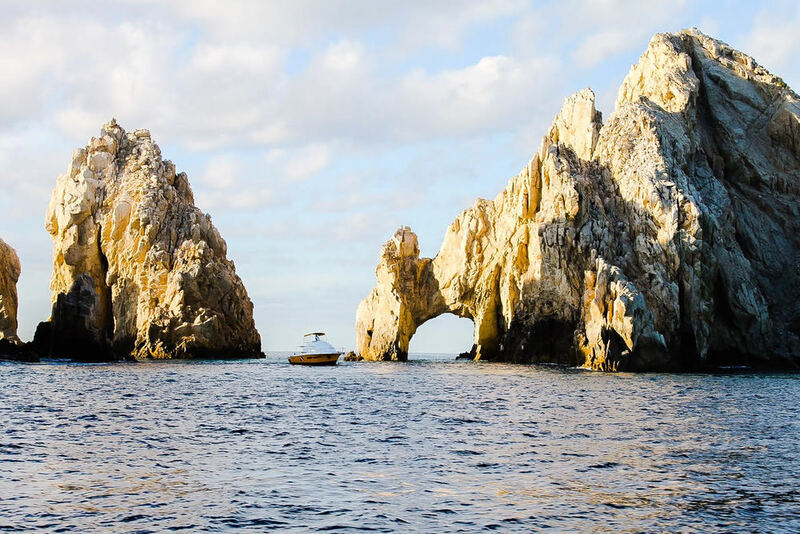 - "check out the dramatic arch rocks after rounding the cape then anchoring at the cabo san lucas anchorage"
The Bahia de san Lucas anchorage has gorgeous condo-lined beach on one side and El Arco (Arch rocks)on the other side. We arrived here in the morning when it was completely flat and went for a swim in the 80 degree water. By the afternoon, the anchorage was noisy and rolly. Pangas, cruise ships, paragliders, vegas style partying, sport fishing, catamaran booze cruises, and all sorts of other tourist activity combine to make this a completely different place by the afternoon. Pangas are easy to flag down after the tourist activity gets going after 10AM or so. We usually paid 50 pesos (3.50 USD) for a two minute ride to the IGY marina. Or you can just swim to the beach where you'll find a handful of bars. Depths in the bay can vary substantially. We found a nice spot in 25 feet and able to see straight to the sandy bottom. You'll need to get pretty close to shore to find shallow depths.